Students from Birmingham City University dominated the Midlands Media Student Awards last night (10 April) as they took three of the 10 prizes at the ceremony. Wan Ulfa Nur Zuhra won in the News category trophy, Victoria Oliveres won the award for Data Journalism, and Lucy Ryan took home the prize for Broadcasting (Radio). The awards, organised by Birmingham Press Club, attracted several hundred entries from universities and colleges across the East and West Midlands. 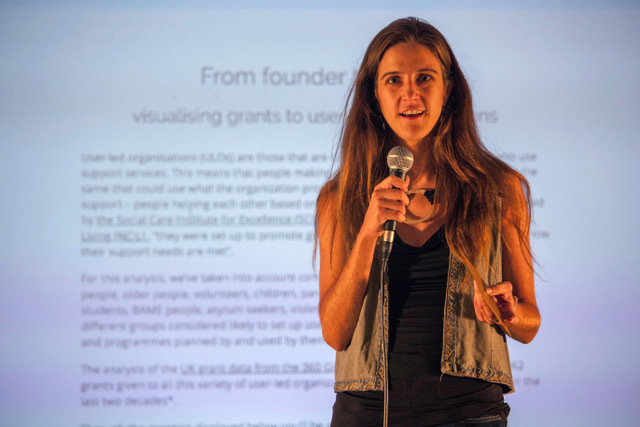 Victoria Oliveres’s prize-winning entry used Freedom of Information requests to police forces to reveal that online disability hate crimes had tripled in three years, while the judges said that Wan’s entry stood out for its powerful mixture of investigative and data journalism on topical public interest issues. Lucy Ryan’s portfolio turned a tragic series of events into a compelling broadcast – using first-hand accounts and expert analysis to put the spotlight on the “Lonely Death of Janet Parker,” who was the world’s last recorded smallpox fatality, dying in Birmingham in 1978. Birmingham City University students Hafsa Naveed (Broadcasting: Television), Anisah Vasta and Abigail Nruah (Culture), Lydia Johnson (Culture), Sania Aziz (Data Journalism) and Calum Archibald (Broadcasting: Radio, and Data Journalism), were all highly commended. The event was held at Mama Roux’s in Digbeth, hosted by BBC Radio WM presenter Alex Noble. University of Gloucestershire student Hesham Abdelhamid took the Student of the Year accolade after having collected the Features Category trophy earlier in the evening. “Many well-known names in the media world have kick-started their careers after having successfully negotiated their courses at Midland universities and colleges. And I have no doubt that those who entered our awards will be following in their footsteps. Birmingham Eastside has created a special interactive visualisation with details on every student shortlisted for an award. Explore it below!